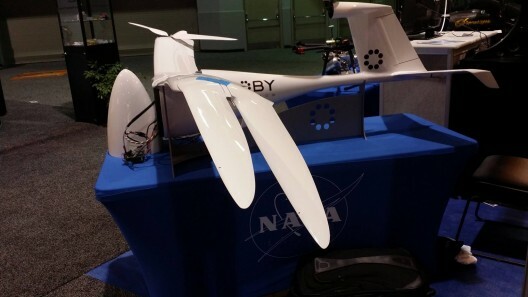 JoeBen Bevirt, founder and head of Joby Aviation and Joby Motors , is obviously a workaholic, and not only gave a talk at EAS IX, but had an example of his Lotus unpiloted aerial vehicle at the AUVSI (Association for Unmanned Vehicle Systems International) conference in Atlanta, Georgia on the same weekend. Two weeks before that, his demonstration wing for the LEAPTech program was speeding across the desert at NASA’s Armstrong Flight Research Center (AFRC), Edwards Air Force Base in California. JoeBen told Symposium attendees all about his S2 personal aerial commuter and LEAPTech, a joint development with NASA. Part of the LEAPTech program has included building a truck platform for testing the 18-motor wing. This is a fascinating bit of engineering in itself. YouTube does not yet show a test run with the truck and wing, but this news item includes it here. 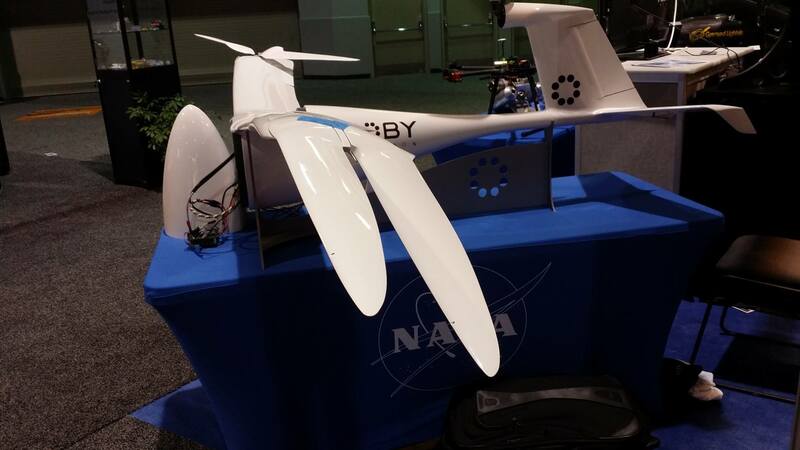 LEAPTech (Leading Edge Asynchronous Propeller Technology) is a NASA Team Seedling Award under the Convergent Aeronautics Project of ARMD (Aeronautics Research Mission Directorate). The team is made up of LaRC, or Langley Research Center (lead design), AFRC (lead integration), ESAero (Data Acquisition and Instrumentation) and Joby Aviation (Truck Design/Fabrication, wing design/fabrication, motor design and system power). 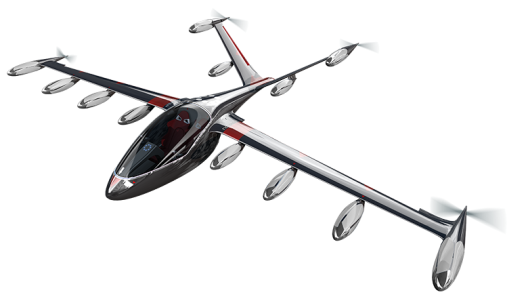 The S2 is a two-seat vertical takeoff and landing (VTOL) aircraft that seems like an expansion of Joby’s earlier Monarch, a single-seat machine. 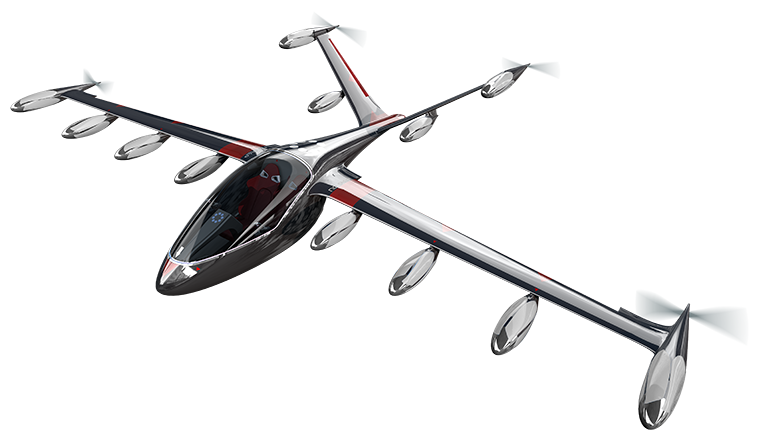 Its 12 rotor/propellers would carry the occupants on an up-to-200-mile, autonomous flight to destinations of their choosing. JoeBen describes heliports as expensive, noisy, and perceived as dangerous by the general public. For those reasons, they are often rejected by city and neighborhood planners. But he claims his VTOL electric aircraft could be 100 times quieter than a helicopter, and benefit from its rotor blade tip speeds in hover of 350 feet per second, well under the supersonic threshold. Making a direct comparison, JoeBen says the S2 has a higher disk loading and higher mass than a Robertson R22,but also a higher cruise speed and a lower, much less noisy, rotor tip speed. With its 12 motors, it would be safer than a helicopter, with extreme redundancy and fail-safe systems. Such a machine would appeal to air taxi operator, and maybe even offer transportation alternatives like Uber a vehicle that could expand its operations to 70 to 250 mile hops. With an operating cost of 2.00 per mile, operators could be profitable at today’s taxi rates. Comparing rates, a taxi ride from San Francisco International Airport (SFO) to Fremont, California is around $55.00 for the 32.8 mile ride by the most direct route, and will take at least 38 minutes. Bay Area Rapid Transit charges $11.25 for the same trip, but takes over an hour and 40 minutes. A direct, air-miles route is 28 miles, costing $56.00 in operating costs, and taking less than 15 minutes. People will be willing to pay a modest premium for the convenience and speed of the trip. These advantages would grow on longer routes, where the airplane’s high speed would enhance point-to-point times. With Dr. Seeley’s on-airport pocket airparks, the convenience level would be as great as that of finding a ground taxi, or probably greater than fighting one’s way to a mass-transit stop. With all these projects progressing rapidly, JoeBen and his team including Alex Stoll and Edward Stilson, among others, are helping define aviation’s future. It should be a green, quiet future.